Biratnagar Warriors gave a best entertainment to their fans in the second match of today double-header. Winning the toss, Lalitpur Patriots invited Biratnagar Warriors to had bat first. Biratnagar Warriors lost Aasif Sheikh early today but Hong Kong’s left-handed and right-handed bating duo provided a must needed partnership for Biratnagar. Duo added 32 runs together where Babar Hayat scored 34 runs and Anshuman Rath scored 14 runs. 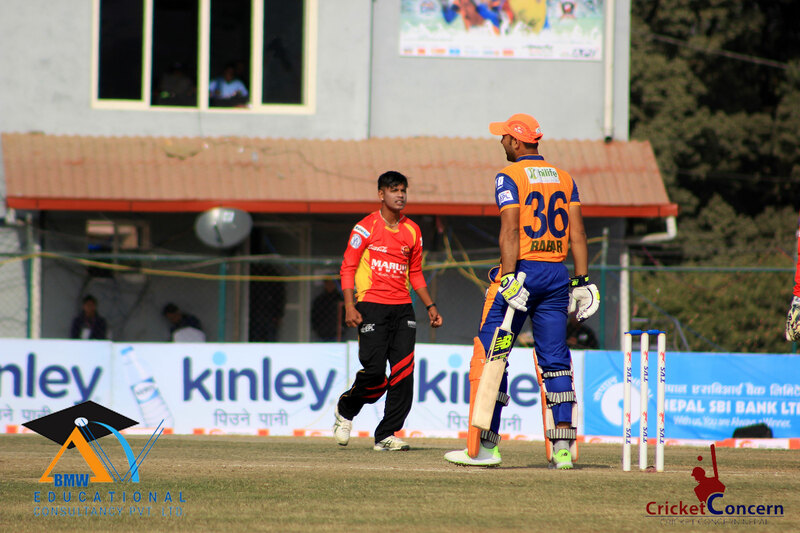 After then, perfect combination of experience Khadka and emerging Sah helped Warriors to a large their total to 150 runs. Paras Khadka and Anil Kumar Sah duo added 74 runs together. Paras Khadka scored 38 runs with two sixes where Anil Kumar Sah scored 47 runs with 3 sixes and 2 fours. For Lalitpur Patriots, Sandeep Lamichhane took 2 wickets. He sent two dangerous batsman Anshuman Rath and Babar Hayat back in the pavilion. Subodh Bhati and Nagar also chipped in with a single wicket each. Left-arm spinner Lalit Rajbanshi also bowl pretty well with economy of around 6. He remained wicket-less but produces excellent spell of (4-0-25-0). Patriots needs to chase down the target of 151 runs with the run rate of 7.05. They can chase it down, if they bat it sensible with the presence of Gyanendra Malla, JayKishan Kolsawala and Yogesh Nagar. Chase on the another end. Stay tuned.